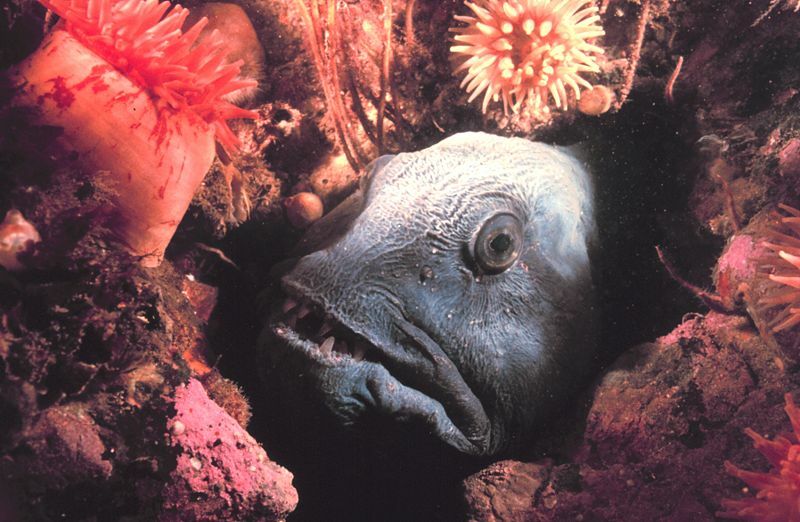 A face not even a mother could love is how the wolf fish has been described. 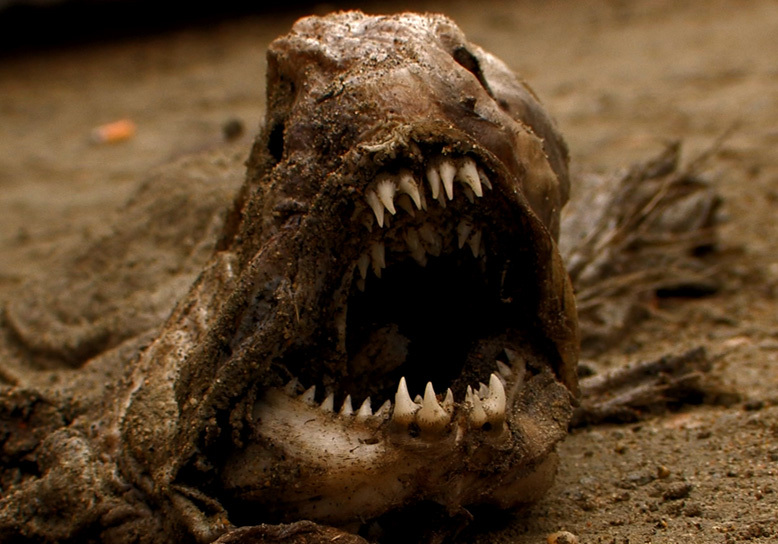 The wolf fish, found usually in the colder waters of the European area will generally live at depths of about 300 feet or more, and is viewed as one of the most unattractive fishes alive today. They are ferocious in looks, being a dull gray color and have very long cylindrical teeth in jagged rows. The will hide in rock formations or crevices and lie in wait for other fish or crustaceans, and very often the area is littered with the shells of the prey that was a bit too slow. 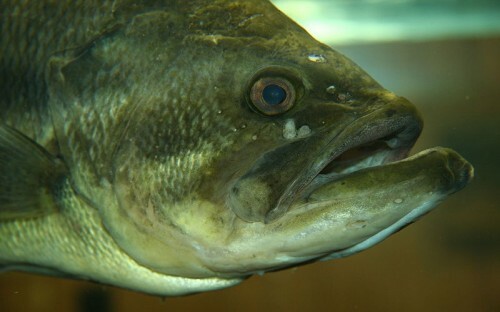 The Wolf Fish has a long body, cylindrical in shape and can reach a length of about 8 feet, nd weights of close to 50 pounds. Add to this the fact that they can live for more than twenty years and you have a fish that everyone gets a bit nervous about meeting on a dive. The truth is that in spite of their horrific looks, they aren’t normally considered dangerous to people, although some have been attacked when they ventured just a bit too close to the lair that the wolf fish was using. Those incredible teeth were made for crunching up things like clams, crabs, and sea urchins which have incredibly thick shells and require a little extra bite..